NBC News is reporting that 95-year-old former U.S. Senator John H. Glenn, the first American launched into orbit, has been taken to the James Cancer Hospital in Ohio with an undisclosed health problem. It is uncertain whether this hospitalization is related to a heart valve that Glenn has had replaced two years ago or due to a stroke. News reports state his health has been declining recently. Glenn, a former Marine pilot in World War Two and Korea as well as a U.S. Navy test pilot, was selected to be one of NASA’s “Original Seven” astronauts in 1959. 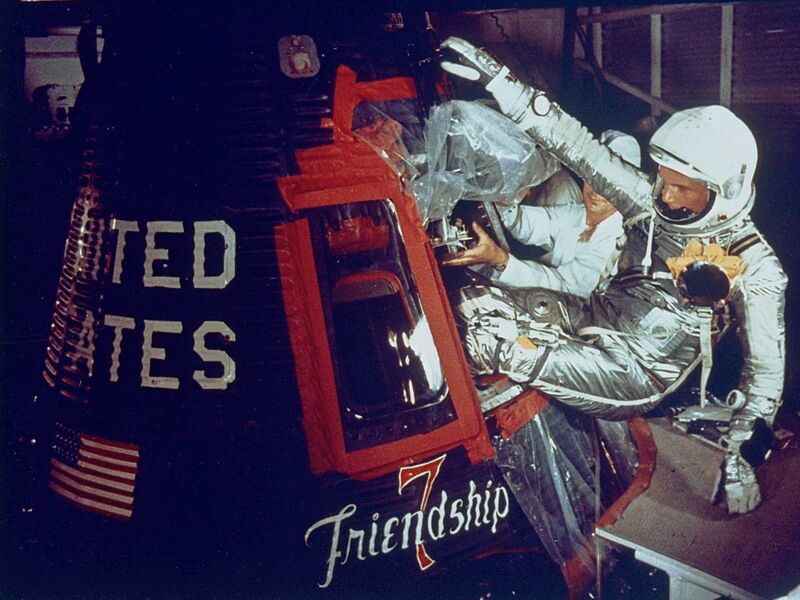 As part of Project Mercury, Glenn became the first American to orbit the Earth on February 20, 1962, aboard the Mercury-Atlas 6 (MA-6) vehicle, Friendship 7. He left the space program to run for Senator from the state of Ohio in 1964. While he lost the 1964 contest, He was elected in 1974 and remained in office until 1999. As a U.S. Senator, Glenn later became the oldest person to fly into space aboard the Space Shuttle Discovery in 1997. Glenn is the only living member of the Original Seven astronauts.